We have received your payment for your Certification exam. You will receive an email message within 12 hours with your username, password and the link to take the exam. 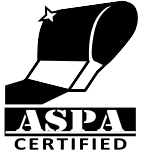 Thank for you participating in the ASPA Certification Program.